Dr. Martinucci is one of the best doctors I’ve ever been to! She is kind and patient. Excellent bedside manner! She did her job but has horrible bedside manners. She needs to engage more with her patients and make them feelmore comfortable. I did not really feel heard and she was very dismissive. Felt like she was very condescending. We get you went to medical school, but please explain more in non-medical terms. Going to an OBGYN is already an uncomfortable expierence and it makes it worse when you have a doctor that makes it even more awkward. I loved the receptionist, that would only be my reason to go back. That still would not be a good of a reason to go back. She did her job but has horrible bedside manners. She needs to engage more with her patients and make them feel more comfortable. I did not really feel heard and shewas very dismissive. Felt like she was very condescending. We get you went to medical school, but please explain more in non-medical terms. Going to an OBGYN is already an uncomfortable expierence and it makes it worse when you have a doctor that makes it even more awkward. I loved the receptionist, that would only be my reason to go back. That still would not be a good of a reason to go back. Stacy Martinucci is a dedicated and diligent OB-GYN caring for the Englewood, NJ community. 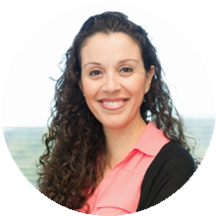 Dr. Martinucci attended Boston University, where she received her medical degree, and completed her residency in obstetrics and gynecology at NewYork-Presbyterian Hospital / Weill Cornell Medical Center. Dr. Martinucci is a part of Englewood Women's Health and is affiliated with Englewood Hospital and Medical Center in NJ. She is a member of the American College of Obstetrics and Gynecology. Patients see Dr. Martinucci for a variety of reasons, including sexual dysfunctions, vaginal discharges, menopause consultations, and fibroids. Dr. Martinucci gives each patient her focused attention, and she prides herself on delivering the best treatment available. She is dedicated to helping patients receive the treatment they need so they can enjoy a positive and fulfilling lifestyle. She is an amazing doctor. She is so funny and nice. She knows what she is doing. I really like her. She answered all our questions and everything. Great office - very welcoming and nice from the front office staff to Dr Martinucci. I’d recommend if you are in NJ or even east in Washington Heights. I'm an anxious and whiny patient. Regardless, everyone in this office, including Dr. Martinucci, were incredible and made me feel at ease. Even giving blood for a blood test wasn't too bad! I finally found s doctor I feel comfortable with, I highly recomend her. I felt very comfortable talking with her about my concerns! She and her staff are wonderful! Dr. Martinucci is amazing, she took the time to answer all my questions and made me feel very comfortable throughout my visit. The entire staff was so friendly and helpful from the very first call. I highly recommend this office!